On the evening after the biggest blizzard of the season, a small crowd braved the snow banks to gather on 7th Street outside the Metro State Library and Learning Center. They set their sights on a close-up view of the stars and moon through the haze of the city lights. 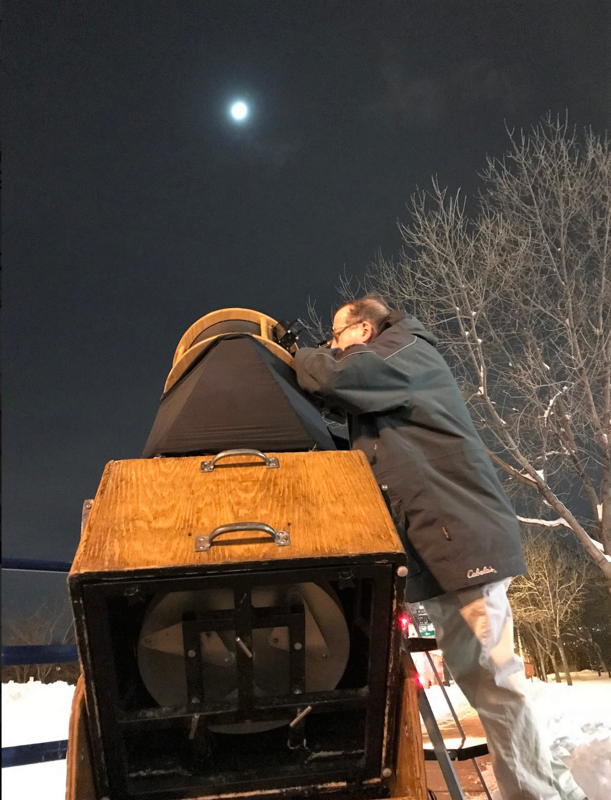 The “Star Party” on Jan. 23 was led by Mike Lynch, a meteorologist at WCCO Radio. Lynch has over 40 years of experience teaching and sharing his love for astronomy. 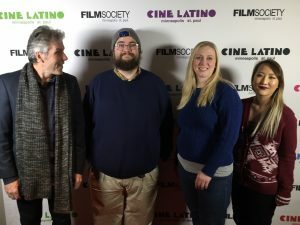 He takes astrophotographs, otherwise known as celestial photography, and curates a collection of telescopes to view the universe beyond our atmosphere. Lynch has authored several books on stargazing and Minnesota weather. 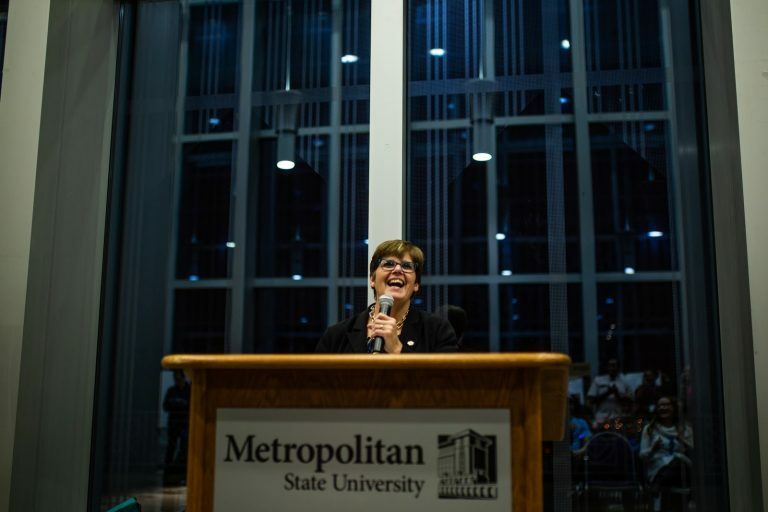 Lynch’s visit to campus stemmed from the partnership between Metro State and the Dayton’s Bluff Library to organize educational and fun programs for students and community members. The event started with an introduction to the constellations. Lynch handed out a handy seasonal constellation guidebook and sent his audience scurrying outside because the clouds were rolling in. We have all the elements working against us, he said. Downstairs, the group rolled out two telescopes to the sidewalk. These were not your toy model telescopes. From the reflectors through the lenses, craters and volcanic plains of the moon were made visible in clear detail. Lynch gave good advice on purchasing telescopes of your own: Do your research and compare. Don’t buy it at a brick and mortar store (There are so many bad telescopes out there that sales people will try to sell to you, he lamented). If you’re serious, you can get a good telescope for under $400. Lynch offers a guide for every price point on his website. Lynch said it is always best to star watch far away from the lights of the city. Get yourself settled in and let your eyes adjust to the dark, and use a headlamp with the red light setting so that it doesn’t affect your night vision going between the map and the night sky, he said. Then when you’re ready, hold your January constellation map up against the sky and let it guide you to each chain of stars sitting millions of light years away. And Lynch left the crowd with one more astronomical tip: keep your eyes on the sky on Jan. 31 for the rare occurrence of the super blue blood moon.